Though if you do an internet search for “Tibetan woman” as I just did, you are likely to come up with hundreds of photos of smiling women all wearing the hugest coral beads in the world- this is what China wants you to see. Those big beads may even be pay offs by the Communists to these people for being so cooperative and putting on such a nice face for the camera and world to see. However the reality these days for most Tibetan women is something like this. Once capable nomads of the steppe, they’ve now been forcibly relocated to permanent settlements by the Chinese. Tibetan Princess circa 1920’s wearing traditional dress and typical sizes of beads. And somewhere in between the 1920’s and the modern age, many of these people changed, styles came and went- stones became acrylic, hand tooled Maio silver cuff bracelets became mass produced bracelets cut from sheets of cheap metal, then finally paste and acrylic stones became real diamonds and pearls- but somehow all I can find on the internet in photographs and all people typically envision in their minds is this 1920’s version of what “Tibetan” is. These are just some of the Tibetan woman’s necklaces, things that the Chinese Communists have collected over more than half a century of oppression and subjugation, many of which are being repackaged and sold as new or “new without tags” by the same regime who hated these people to begin with. Though most people may think of this as a butterfly, its probably depicting the more culturally important silkworm moth. Why they would continue to use the same photograph over and over again that has blurred pixels if they were just copy & pasting from other sellers? Wouldn’t you copy & paste the better one? But more sellers continue to use this poorer quality one. Often advertised as coral or lapis, turquoise and jade, in addition to lying about age and prior use and whether or not it is Tibetan, the Chinese sellers often lie about what it is made out of as well. Pot metal becomes Sterling silver and glass is coral like in the example above, then when they sell real items that are made from semi- precious and precious materials, no one trusts them. This is a photo that has been copied so many times it has lost resolution once again. Darn jpg’s. Yet the Chinese sellers don’t seem to mind and still use it for advertisement in at least 20 different shops for this particular model of necklace. You sure can tell it is the same exact picture easily- even in the thumbnails- because of that 1/3 pink background and exact same loss of pixel quality. Matching hairpins to the necklaces above, antique, used and far too prolific to have been individually put up for sale. They are probably from the time of the Cultural Revolution, and to be still sold as “new without tags” over 40 years later is ridiculous. Though they may be newer than that, they certainly aren’t newly manufactured. Please carefully look at the photo above, and that is one of the lesser used undoubtedly to make it look good for sales purposes that has also been cleaned). 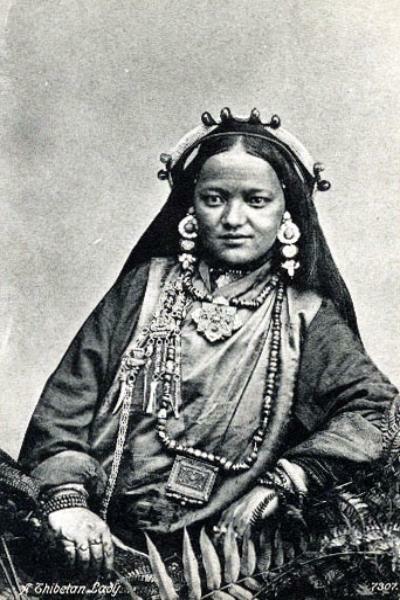 Hairpins are something that was not only popular in Tibet, but all of China and Asia. 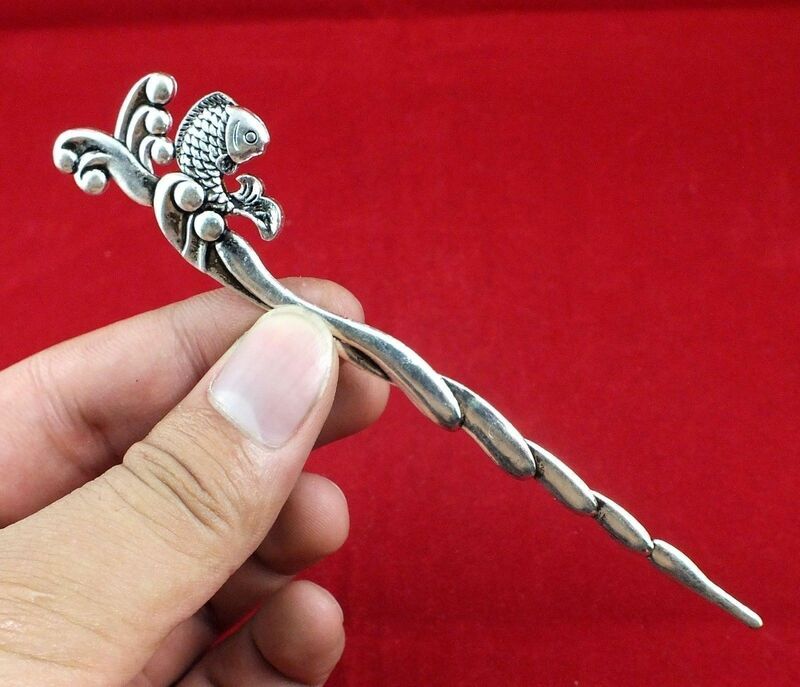 But it seems the hairpins found currently for sale on Ebay are primarily Tibetan and silver, in the same wild variety and high artistic skill that their silver charms are found in from that era. If you are a minority that is still totally cut off from the rest of the world, should all your things be for sale in someone else’s hands that outnumbers other people who have access to the outside world? Its quite the stockpile of this particular design- perhaps 90% of all were ever made after 50 years of robbing and looting and enslaving and causing people to run? and this is only one example. There are many, many more Ebay dealers also who carry this particular antique hairpin that aren’t included in this list. Pearls, like anything beautiful or shiny, have captivated Chinese and Tibetans for centuries. The further from the ocean, the more valuable these treasures from the sea (and big rivers) become. But with the coming of the Chinese in Tibet also came a huge influx of both imported, mass produced and fake goods. So not only did the Chinese probably sell this ring- of non precious metal and fake pears to begin with to a Tibetan, but then took it back and resold it to another unsuspecting buyer a few decades later. But yes, the pearls in this ring are probably fake and just glued on- maybe they are replacements for the original ones that were scratched, because the ring has clearly seen some use and has age to it- as seen by the very dark and uneven patina on the band. Popular in Tibet are open rings without a back that can be adjusted since immemorial, though here in the west such rings are reserved for carnival trinkets and kids rings, these are something a Tibetan man and woman might wear everyday. 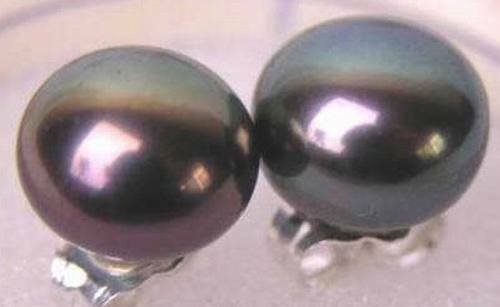 These black pearl earrings, though perhaps cultured pearls, are probably real- at least the ones that I’ve purchased that were very similar were. However, they have varying degrees of use and scratches, but are always sold as brand new. 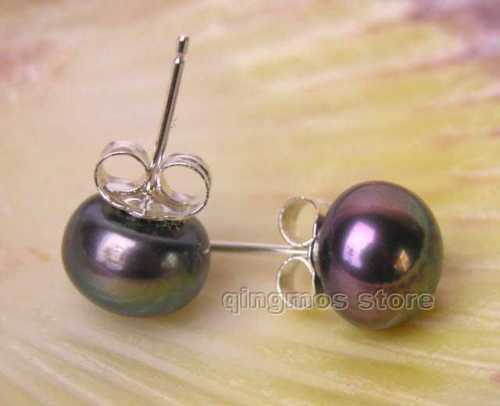 The same is true for freshwater pearls like the ones below. Sold greatly below market prices, and though there is ample demand for luxury goods such as pearls in China, these- because they have been previously owned by some extremely unlucky people- are tainted to the Chinese. For these might bring ill fortune to someone giving them to their daughter for a graduation gift or a husband to a wife for their anniversary, so they sell them to anyone and everyone but themselves. Because there is such a huge volume of goods (this is what happens when you rob millions of people= you have billions of things) that have flooded the world’s markets and much of it is being sold as brand new, the prices for legitimate new goods may have dropped- thus still working in Chinas consumers favor, though they practically give away pearls, emeralds and diamonds every single day. Most of the antiques seem to be from the take over of Tibet in the 1950’s, but the items from Tibet numbering in the (hundreds of?) thousands are certainly not limited to this time period. 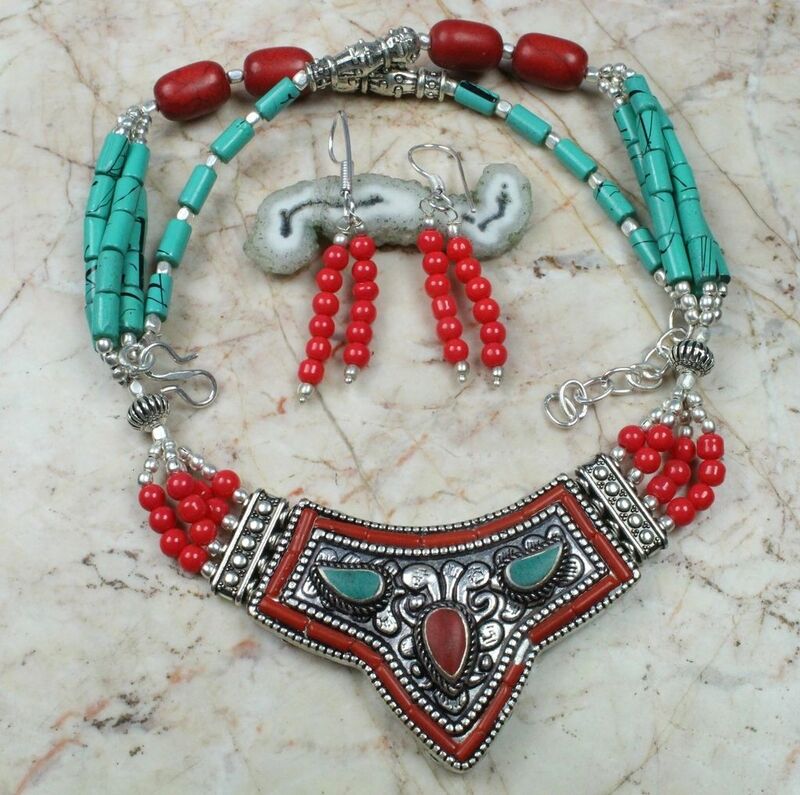 It looks as though the smaller red beads on this set have been replaced by newer beads, but it is surely not a “new” piece (look at worn coral- even missing some- on silver plate) as the New York shop owner states. 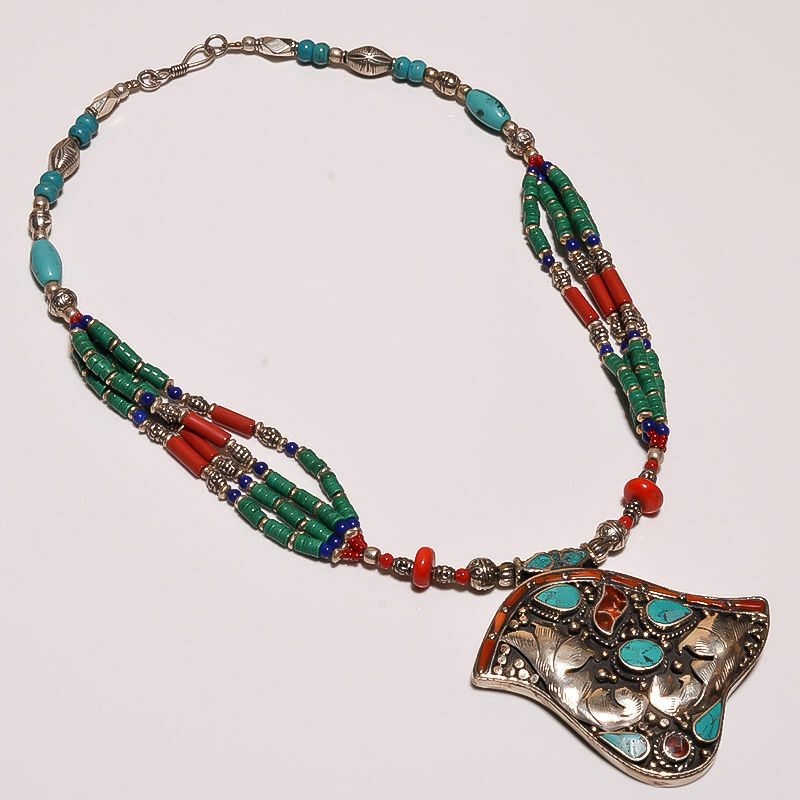 Antique Tibetan turquoise and coral necklace, wrongly advertised and sold as both sterling silver and new. The sellers in India often insist its sterling, something that is easy to check and obviously doesn’t check out. 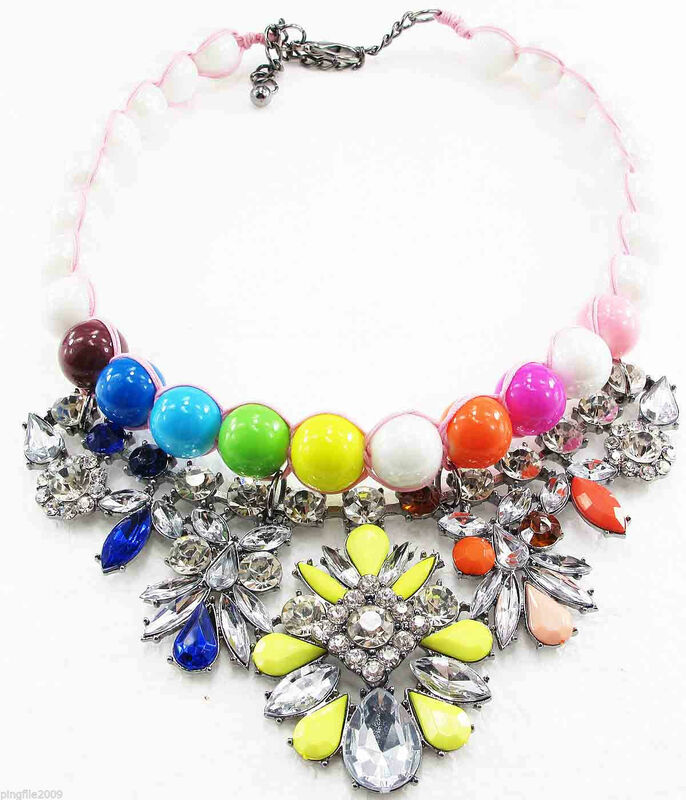 In love with colors and things that shine, the heyday for these sorts of pieces was probably during the 1980’s. It must have been similar to the 1960s and early 70’s in America with the outrageous designs and colors. Some Tibetan people who have been without outside cultural influences for too long might still find these quite stylish and appealing. Skulls, religiously used by Tibetans since civilization began, are also just a part of their everyday lives. Rings, necklaces, earrings, you name it, if it has skulls on it, chances are a Tibetan thinks its cool and wants to wear it. 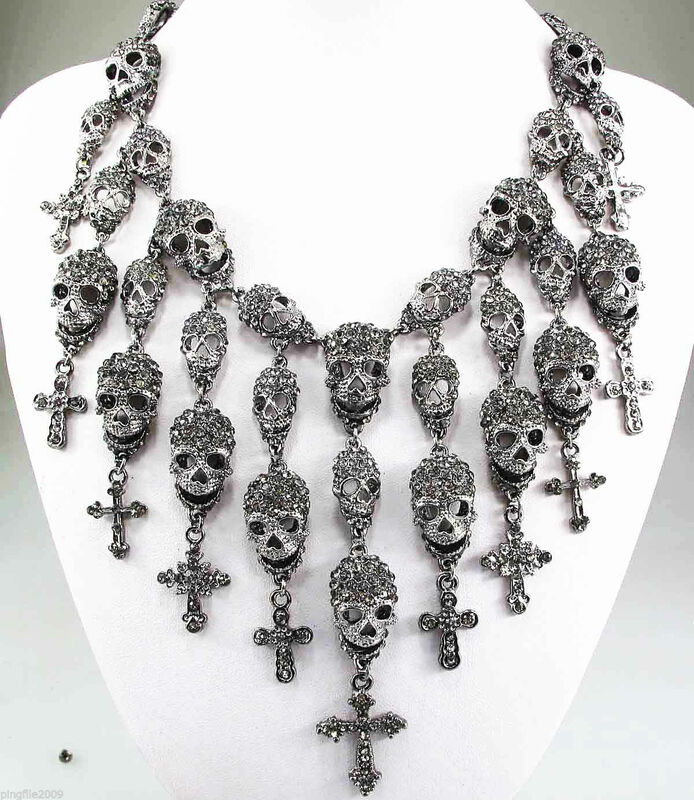 This morbid fascination hasn’t changed throughout time, but has only become more mainstream and easier to disguise and sell as new to unsuspecting buyers as “bikers jewelry” or “goth”. Like some flashback from the 1960’s and 70’s in the United States, owls apparently are still “in” in Tibet and China for women’s wear, and were mass produced in great numbers complete with cheap acrylic stones and non-precious metals. This is why there is the tremendous assortment and variety as well as sheer numbers on Ebay today- these were popular with the masses and sold. Made a lot of Chinese money back in the day, and are making the Chinese money yet another time around. I’m not denying perhaps some people in Tibet would and do sell off their things in order to make a couple pennies or bucks, in these prolific numbers- all used and being lied about, sold as new out of Beijing or Hong Kong typically- are some serious red flags. Though grandma’s everywhere may rejoice, the fact of the matter is that you never want to proudly wear political prisoner’s jewelry that has been taken from them against their will to beautify yourself with. The Tibetan sand fox is beloved for its beautiful fur as is a woman’s skin, and it is is often co-dependent upon other creatures, perhaps bigger than it, as it wanders far and wide looking for food as seen in the footage. The fox doesn’t win by brawn, but by wit and sometimes tricks and being quick, but is also non-threatening to larger animals which helps it to survive, as well as its ability to hide and blend, all traits women might want to possess as well.